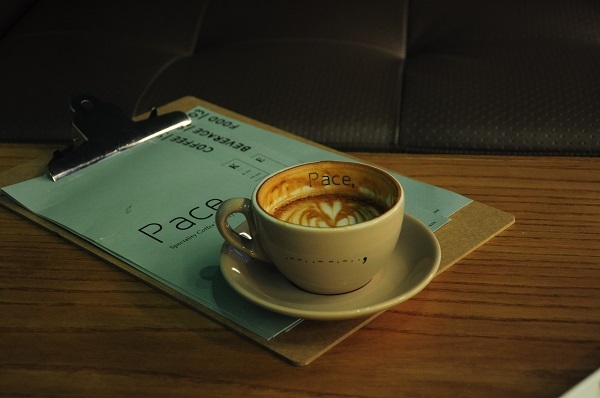 Last week, we make our way to the all-time favorite café across the causeway, Bev C Café, and chanced upon a new café, Pace Café situated diagonally opposite. 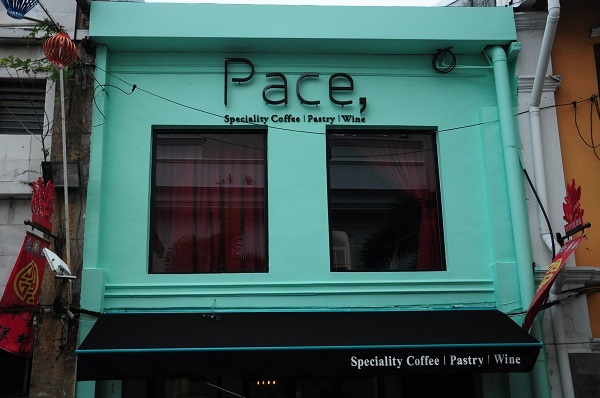 It is not hard to miss as Pace Café was coated in an eye-catching tiffany blue color. 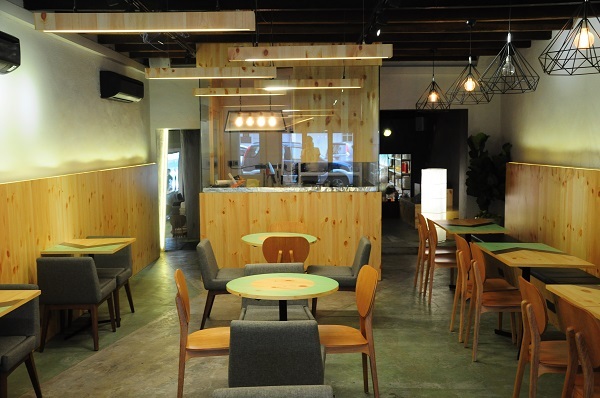 Other than its exterior, the interior are furbished in tiffany blue color as well – the furniture, walls and take-away cups. 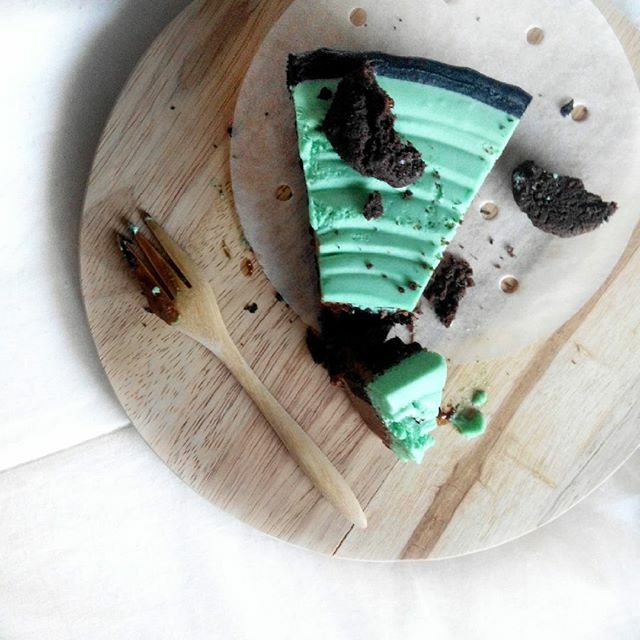 Mint Chocolate Cheesecake (RM13.90) – 3 contrasting layers of tiffany blue, brown and black of oreo cookie crust. 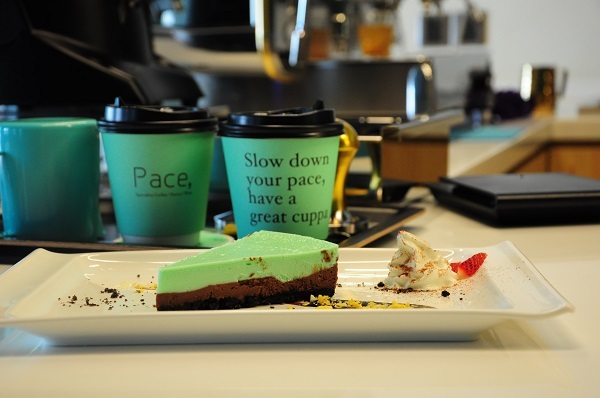 The cheesecake was more on the light side, not too jerlat and we love the crisp minty flavor. 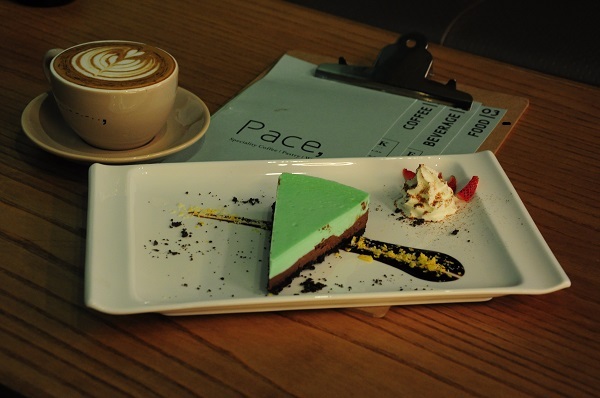 For now, the kitchen is only opened on weekends so there’s only desserts like salted caramel cake, brownies and cheesecake affogato to keep you on a sugar high. 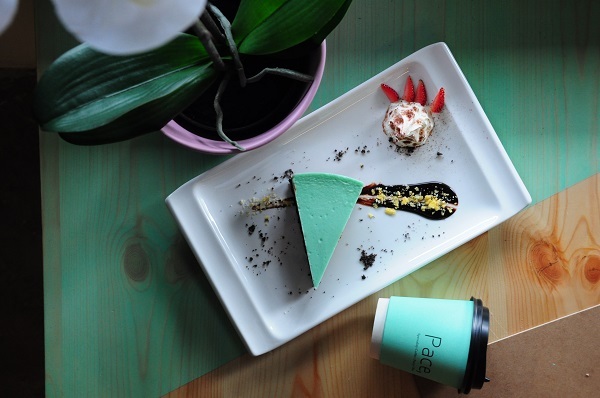 Considering the current all-time high 1:3 exchange rate, how about a day of café-hopping up Johor JB and some tiffany blue to counter your Monday blues?